© 2017 – Yinglan Z. The sixteen-year-old was once again in a different universe, the one she had saved last year, only for her friend Josiah Covington, twenty years had passed. She remembered him as a shy, intelligent nine-year-old boy, but now he was nearly thirty. Unfortunately, he also had a broken arm, so escaping Tyson’s heavily guarded aerodrome was in her hands now. Keisha helped Josiah into the rear seat and then hopped into the cockpit. I wrote this for the 167th FFfAW Writing Challenge. The idea is to use the image above as the inspiration for crafting a piece of flash fiction between 100 and 175 words long. My word count is 175. This is something of a “sequel” to Return to Dieselworld and based on the character Keisha Davis, whose latest steampunk adventure you can find in Prelude to Piracy. I thought it would be fun to have Keisha experience different “sub-genres”. 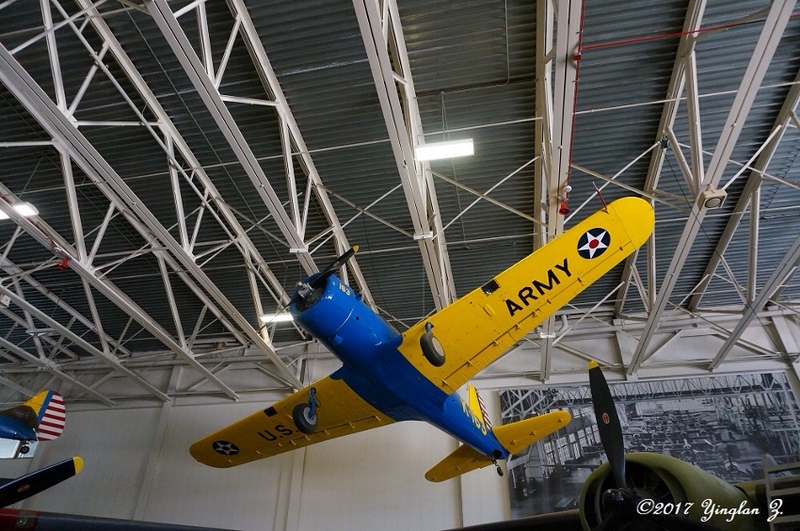 Fun fact: Not far from where I live, we have something called the Warhawk Air Museum which has aircraft and other exhibits from World War One through the Vietnam War era. I’ve been there with my grandson and it’s a lot of fun. Oh, and don’t worry about what a “Barsoonian charge” is. That’s being revealed in the steampunk story line. Want to see more of Keisha in Dieselworld? Read The Adventures of Rocket Girl. Great story! I hope they accomplish their mission! I’m planning on it, though Keisha has to finish her current mission first. Immense possibilities here. Great read. Indeed. I wish I could write super fast to get all of these ideas in the open, yarnspinnerr. Thanks. “Oh, and don’t worry about what a “Barsoonian charge” is. That’s being revealed in the steampunk story line.” I was getting really to Google-it as I read. Enjoyed! Totally made up, I assure you, and yes, I “Googled” the word to make sure someone hadn’t used it first. I just read about in your ‘continued chapter’ story. I enjoy your reads. Cool story. I love Steampunk and this Deiselworld story sounds interesting. Thanks. I hope it ends up being interesting once I get around to actually writing it. Great start to an adventure tale, look forward to more. Loved this adventure of Keisha as well. You had me thinking about John Carter for a second there, James. That’s interesting, since at least the very first adventure Carter had on Mars was published very early in the 20th century, more in the “steampunk” era, although he would have a solid run for decades. I should say that I read the entire Barsoom series when I was in Junior High (back when dinosaurs ruled the Earth), and it remains one of my favorites. Sadly, when a movie was finally made about Carter, it totally sucked. Now that’s what I call a teaser! Nice one James. Good one James. Have to read more. Right now I’m still working on Keisha’s “steampunk” adventure, the latest being Farallon Sojourn. She’ll have to finish a whole novel of that before returning to “dieselworld”. Thanks, Irene. Sounds like the start of a fantastic mad-cap adventure. Right now, Keisha’s adventures are Here! Full table of contents at the bottom of the story.